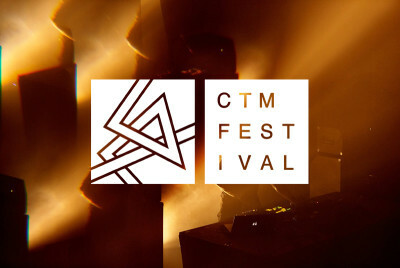 CTM is a prominent international festival dedicated to contemporary electronic, digital and experimental music, as well as the diverse range of artistic activities in the context of sound and club cultures. Since 1999 it takes place concurrently and cooperatively with the transmediale – international festival for art and digital culture, Berlin. CTM’s aim is to present the most outstanding international productions in adventurous, experimental and electronic music and audiovisual performance, as well as to reflect recent artistic, social and technical developments in music culture in panels, screenings and presentations. CTM Festival is an independent project and organized by DISK Berlin. Next to the annual festival DISK and the affiliated DISK Agency produce and curate events and projects during the year, both in Berlin and abroad. DISK is a founding member of the ICAS/ECAS networks, and is the host organization of the Berlin based project space General Public. Together, the two festivals CTM and transmediale comprise one of the most comprehensive and relevant occasions in the world for reflection on digital culture and, moreover, one with a more comprehensive scope than any usual festival remit.